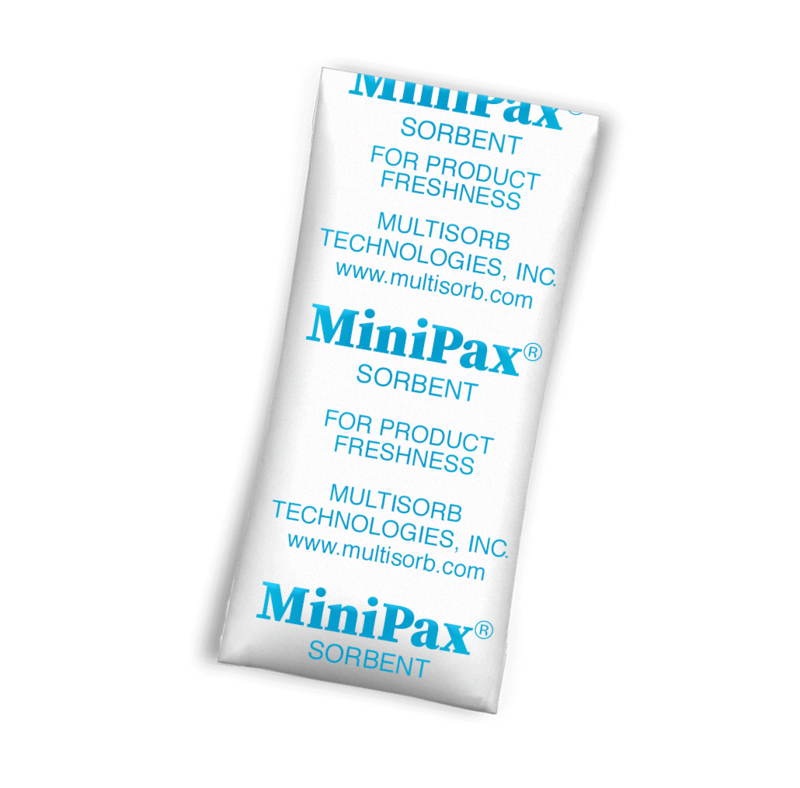 Ideal for hand packaging operations, MiniPax Sorbent Packets are compact, extremely durable, non-dusting sorbent packets that take up little space in packaging. Formed of welded, uncoated Tyvek® – an extremely strong spunbonded high-density polyethylene (HDPE) fiber material. 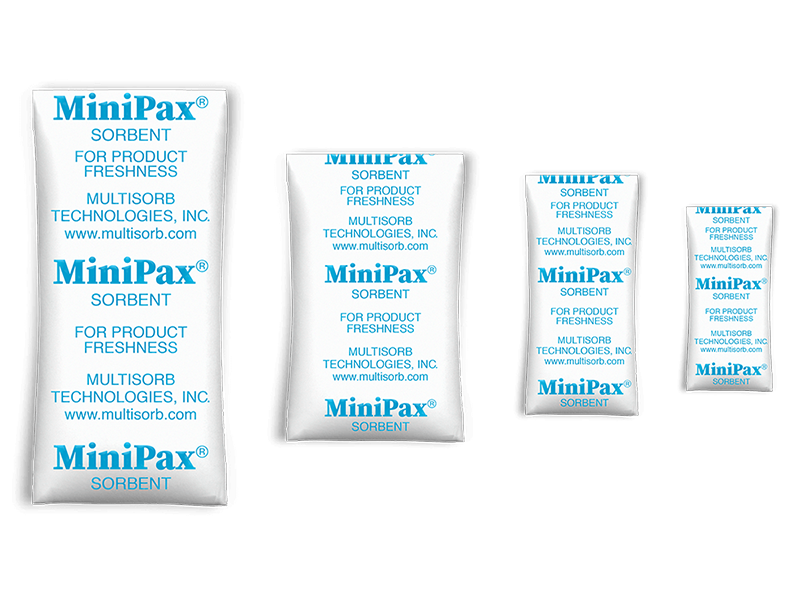 MiniPax Packets can be produced with a wide choice of sorbents and sorbent blends to meet your specific needs, including blends of odor and moisture adsorbent compounds. Sizes range from 0.25 grams to 28 grams, with larger sizes available for multi-packet production runs. MiniPax molecular sieve and silica gel packets have high tear strength in all directions and are virtually puncture proof, eliminating the risk of leakage and product contamination. 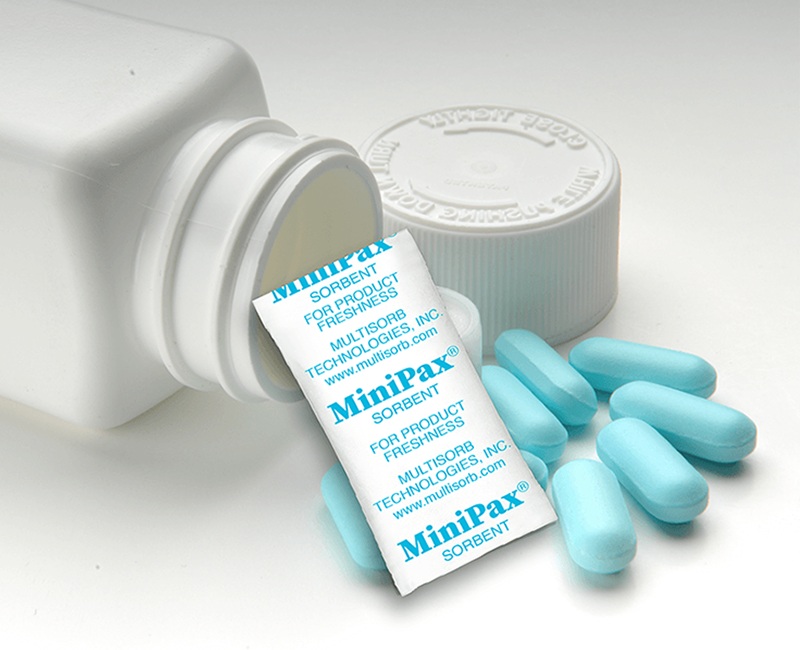 MiniPax Packets are unaffected by water or moisture, so they are as strong wet as they are dry. MiniPax will not rot or mildew. The Tyvek® used in MiniPax offers a high-water vapor transmission rate (WVTR) that makes this material ideal for sorbent packets. The exceptionally narrow seal skirt on only two ends gives MiniPax Packets an unusually large adsorptive surface area for their overall size. Made using chemically inert, medical grade Tyvek®, MiniPax are supported by a Type III Drug Master File, use 21 CFR-compliant materials, and are suitable for use in all regulated product packaging. When a conventional desiccant won’t do, trust IntelliSorb moisture regulating sorbents to balance the physical and chemical and stability of your products. We created the new SorbiCap after extensive research into the challenges facing pharmaceutical, in-vitro diagnostic and dietary supplement manufacturers.